On the heels of Tarana Burke’s #MeToo movement going viral in October 2017, the Time’s Up Legal Defense Fund was born. In January, the women-led organization held its first men’s meeting, where gender studies sociologist Michael Kimmel and activist Ted Bunch led a discussion with 200 men in Hollywood, per The Hollywood Reporter. In an essay for InStyle on Wednesday, Scandal actor Tony Goldwyn wrote about that meeting and what he took away from it. Although Kimmel and Bunch began that meeting by explaining that 85 percent of men are not predators, the implied fact was that the other 15 percent are. To Goldwyn, this statistic was startling — and that day, he began to dismantle his understanding of consent. He wrote, “In other words, of the 200 guys in that room, statistical probability said that 30 of us were assholes. 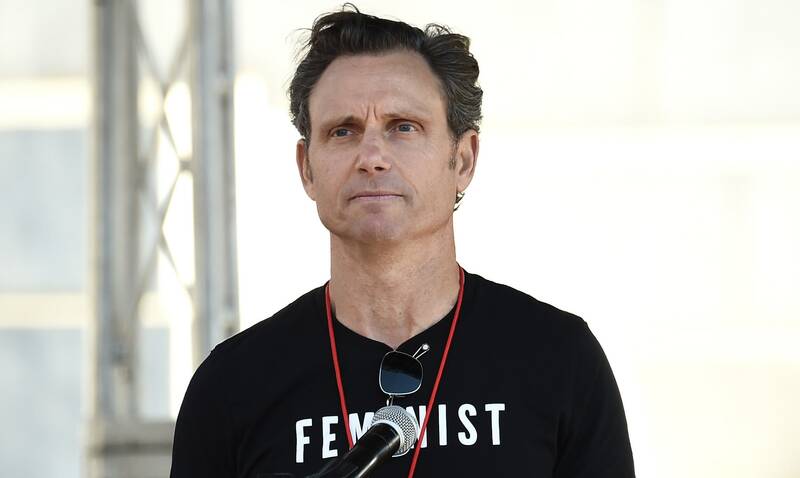 I was not comforted.” Goldwyn added that although he entered the meeting feeling pretty good about his stance as an outspoken feminist, since then, he’s begun to doubt himself. According to his essay, Goldwyn has had several conversations with people in his life about physical intimacy since that January meeting. He wrote that it is not OK to assume consent — even in familiar relationships. Goldwyn shared an anecdote concerning an episode of The L Word he directed wherein he demonstrated on one female actor how he wanted another actor to touch her for a scene. He was taken aside by the assistant director and told unequivocally that he couldn’t do that. Goldwyn’s essay is a brief but impactful read — it explores how men should and should not approach conversations about sexual harassment and abuse, especially with women. It also makes explicit one of the most important tenets of any interpersonal communication: Consent is key, and the only way to truly get consent is to ask and to listen and to respect a person’s wishes rather than making assumptions about what is comfortable for them. We’re definitely here for this kind of writing, especially from men who’ve taken the time to question their own power dynamics and begin the difficult work of dismantling them.